“Mr. Obama is expected to discuss tensions in the Middle East, in particular the trouble posed by Islamic State and potential ways to tackle it. 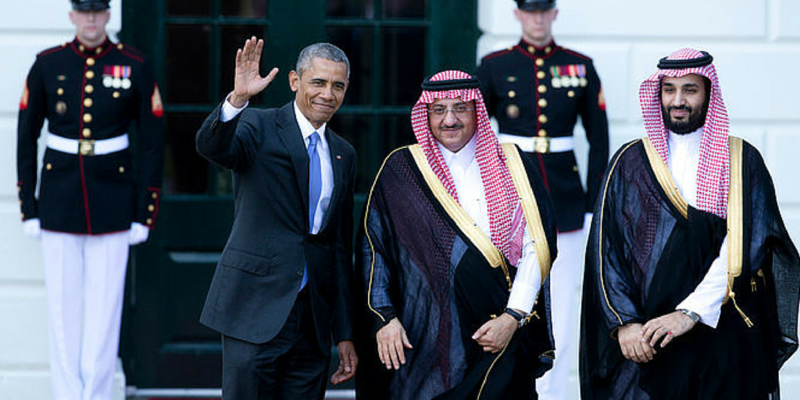 See: “Obama, Heeding Close House Vote, Should Press Saudis to End Yemen War” by Robert Naiman. Also see “Kerry and Saudi prince pledge to fight extremism after Orlando shooting, while LGBT Saudis face execution,” by Ben Norton. Hartung is the director of the Arms and Security Project at the Center for International Policy and a senior adviser to the Security Assistance Monitor. The New York Times recently published his piece “Obama Shouldn’t Trade Cluster Bombs for Saudi Arabia’s Friendship,” which states: “He should avoid doing what he did at Camp David last May, the last time he met with [the Gulf Cooperation Council]: promise more arms sales. Since Mr. Obama hosted that meeting, the United States has offered over $33 billion in weaponry to its Persian Gulf allies, with the bulk of it going to Saudi Arabia. The results have been deadly.